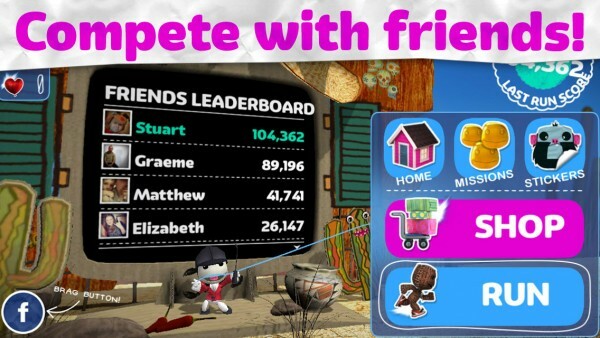 Help Sackboy, the knitted hero of Little Big Planet, outrun Negativitron in Run Sackboy! Run! 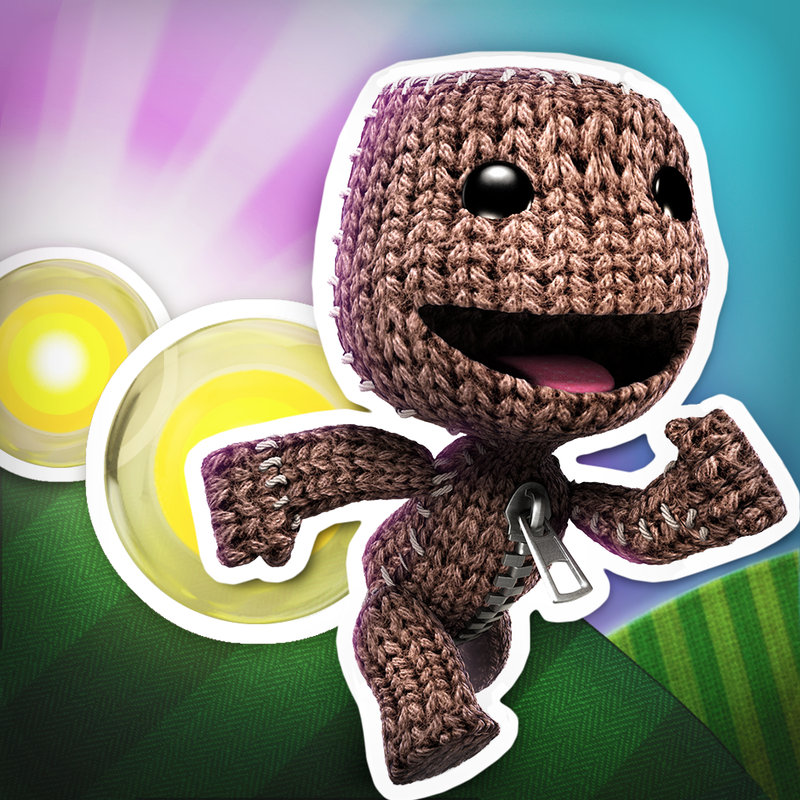 Run Sackboy! Run! 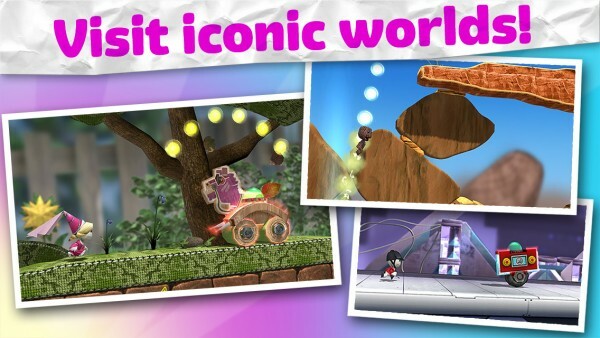 (Free) by PlayStation Mobile Inc. is an endless runner platformer game featuring everyone’s favorite little knitted hero from the Little Big Planet series on multiple PlayStation platforms. 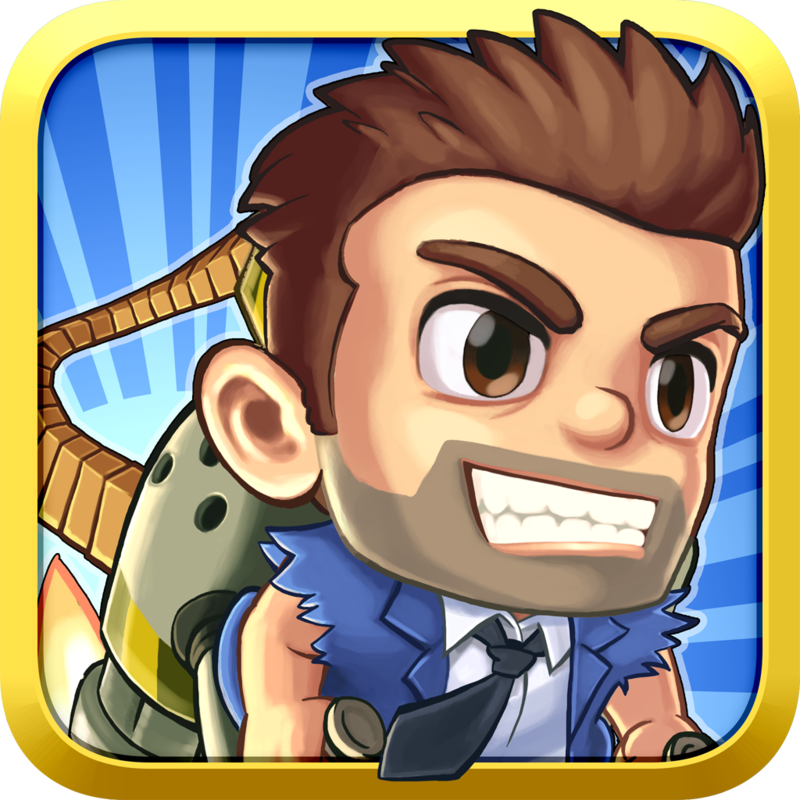 If you enjoy games like Wind-up Knight 2, Jetpack Joyride, and Temple Run, but can’t get enough of Sackboy, then you need to pick up this game. Oh, Little Big Planet — I have such fond memories of you. LBP was one of the first games that I bought for my PS3 several years ago, and it remains as one of my favorite games on the console. It was never about the story, but the gameplay, which I fell in love with, as I’m a huge puzzle platformer game fan. 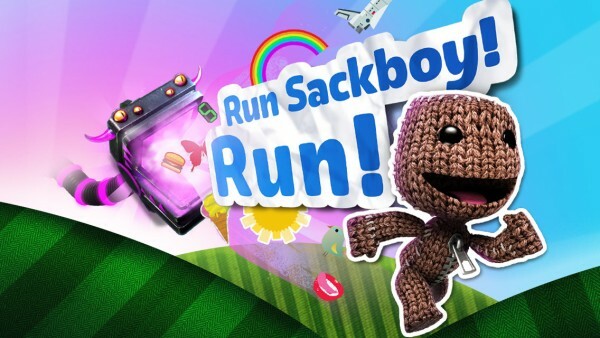 When I heard that Sackboy was coming to iOS, I cannot tell you how excited I got at the news. And now that I finally got my hands on it, I can say that it doesn’t disappoint. The graphics in RSR are stunning, just as you’d expect from a full LBP game on a PlayStation console. 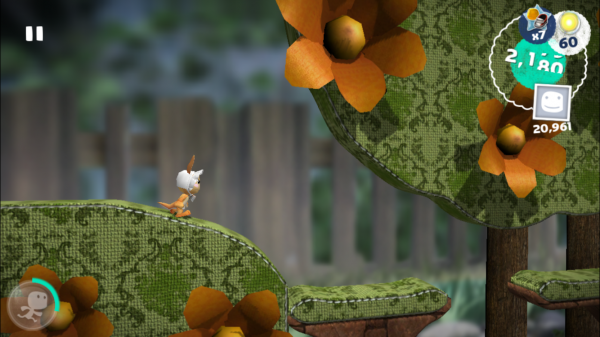 The 3-D visuals are insanely crisp and sharp on Retina displays, and the three iconic worlds from the LBP series (The Gardens, Avalonia, and The Canyons) are colorful, vibrant, and rich with detail. 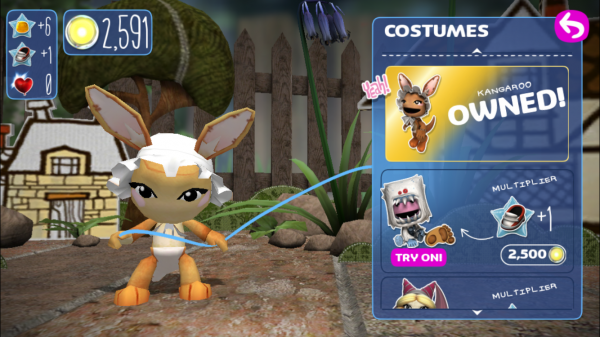 Sackboy looks just as cute as ever, and there are a ton of various costumes that you can save up for to give him that extra charm. Animations in the game are super smooth, and the quirky music is soothing. 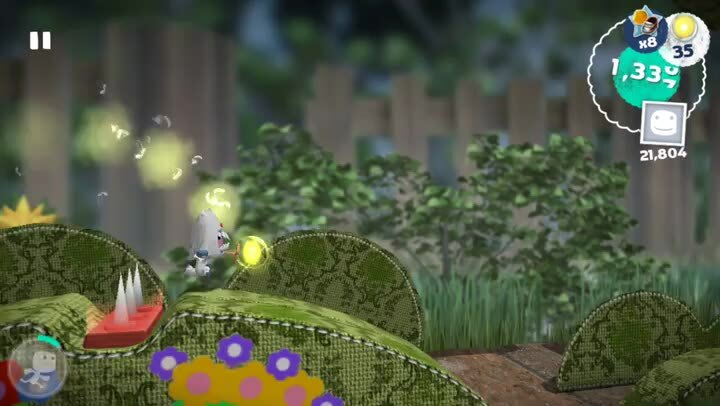 If you played the LBP games before, then the awesome sound effects should be welcoming. Like other endless runners, there is only one game mode in RSR. However, to spice things up, the run will always be procedurally generated, and the scenery will change after you reach a certain distance. 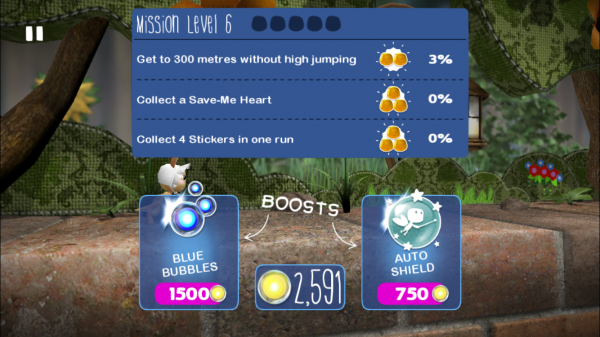 Sackboy will be able to collect bubbles along the way, which are used in the shop for costumes and power-up upgrades, and there are even stickers to collect, just like in the full LBP games. 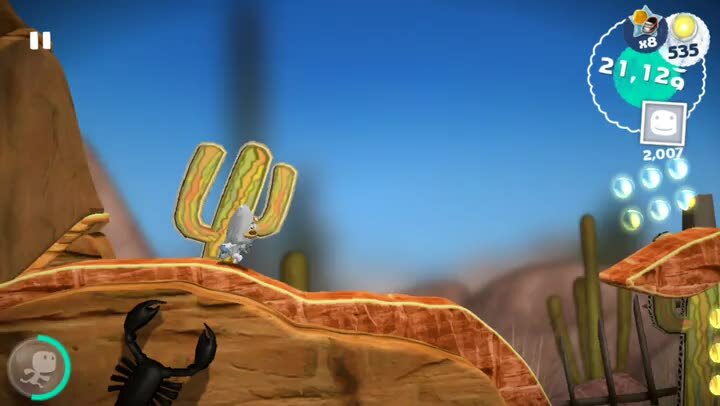 Since LBP is originally a puzzle platformer, RSR mixes in some platforming elements, such as jumping on top of enemies, avoiding spikes and traps, and more. The controls in RSR are simple and intuitive, with the tutorial in the beginning explaining the basics (completely optional though). 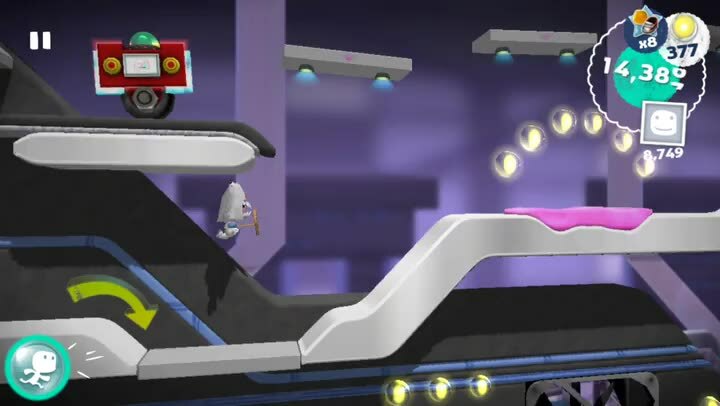 Sackboy runs automatically, so you’re just going to help him with jumping and dashing to avoid being eaten by the evil, creativity-sucking vacuum cleaner, Negativitron, who is right on your tail. 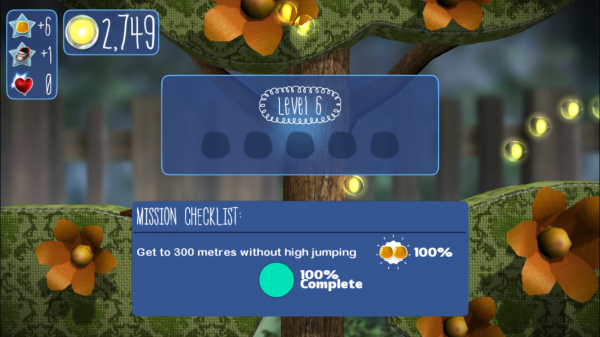 Just tap to jump, and hold to do a higher jump. This is a must for avoiding spikes, gaps, and vanquishing your enemies. To dash forward, slide your finger in the bottom right area of the screen — this is mostly useful for escaping the pink goo. To keep things interesting, RSR has various missions for you to complete on each run. If you can accomplish these, you’ll be rewarded and earn some stars for it, which are used to level you up. The higher your level is, the bigger your score multiplier ends up. 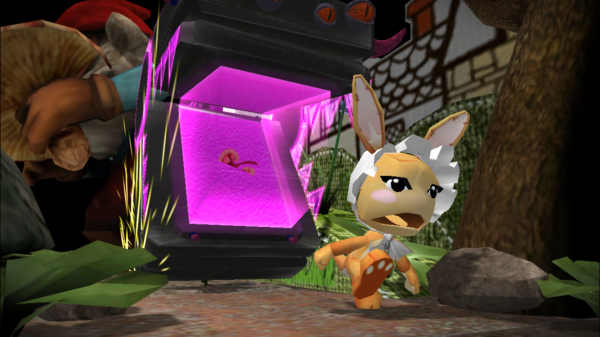 Power-up items can be found along the way as well, such as bubble magnets, jetpacks, and more. You can even purchase a boost in the beginning of the game to use, though the selection varies each time. As you run, it’s important to collect those shiny bubbles. When you get enough of them in a run, you can activate the shield power-up, which protects you from enemies and you won’t slow down from the pink goop while it’s active. When you accumulate these bubbles, you can use them for obtaining new costumes and upgrading power-ups, which means they last longer. 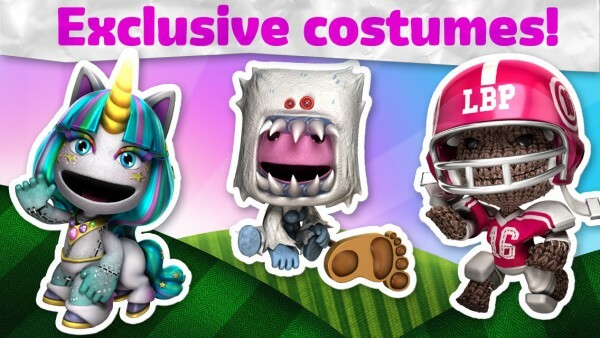 The costumes not only change Sackboy’s appearance, but some will give you more of a score multiplier, boost power-ups, grant Save-Me Hearts (continues), and even give you Lucky Chests, so I recommend saving up for the good stuff. If you’re low on bubbles, there is always the option to buy more through in-app purchases. 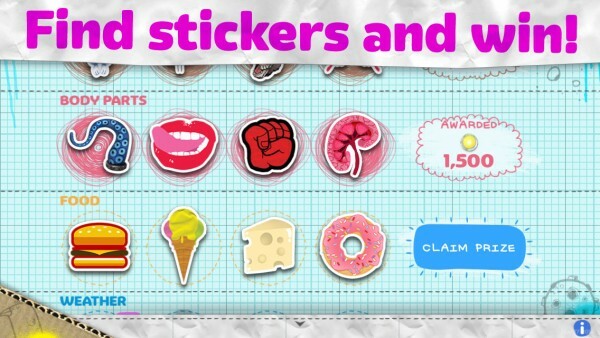 The coolest thing about RSR, much like the LBP games, are the stickers. 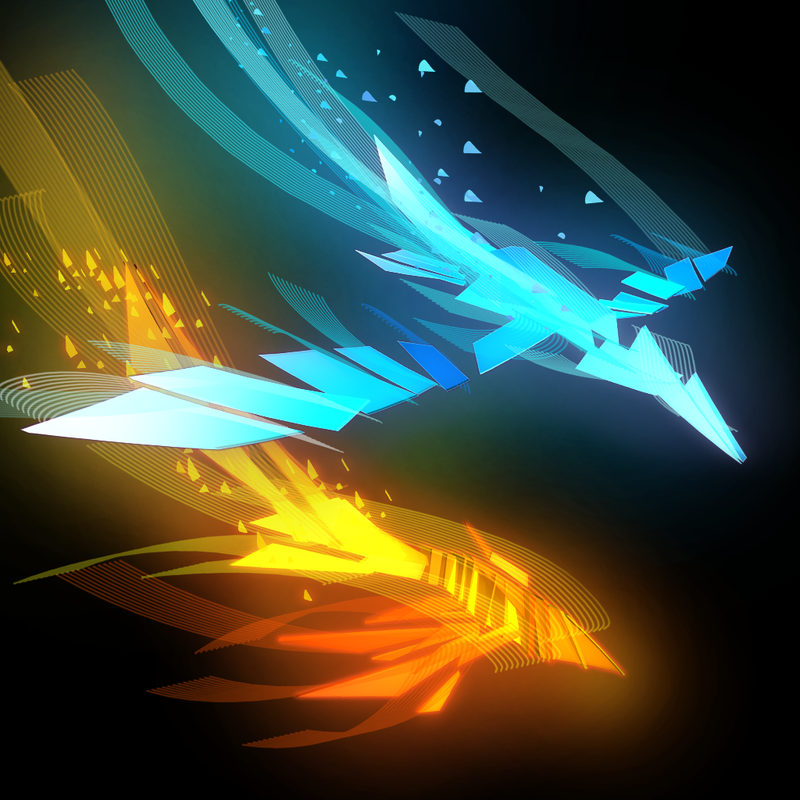 You will find them scattered about the worlds, and you can collect them by running past them. 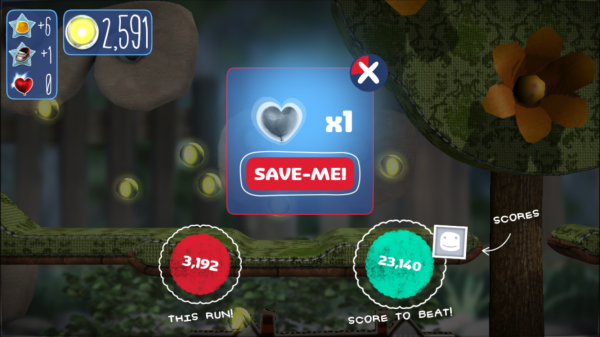 If you can collect all of the stickers of a particular set, you will get prizes, such as Save-Me Hearts or costume pieces for Sackboy. 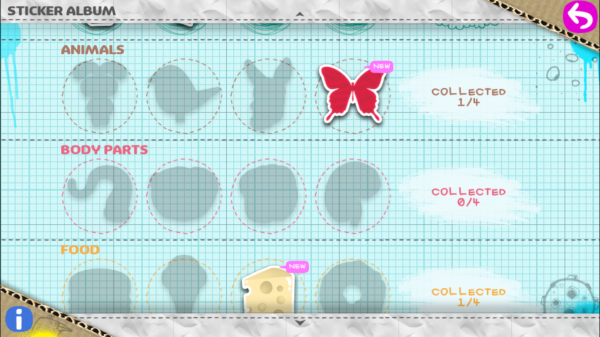 There’s a ton of stickers to find and collect, so there’s plenty of reason to keep playing! Unfortunately, much like some of their other releases like Entwined Challenge, there is no Game Center support. Instead, if you want to take advantage of the social aspects in RSR, you will need to hook it up to your Facebook account. I’m not a big fan of this system, and I’m sure many don’t either because they don’t want to spam friends or even use Facebook itself. I hope one day that Sony decides to integrate with Game Center, but until then, this is the only way to be social with their game releases. 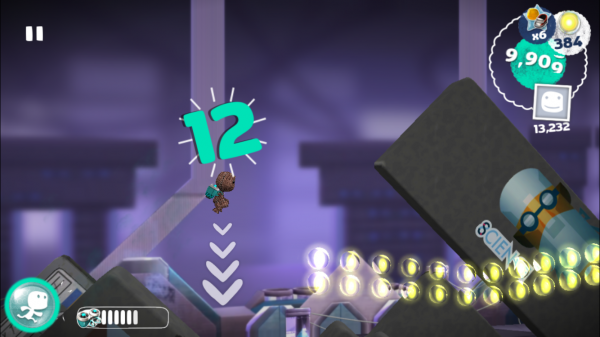 I love endless runner and platformer games, as well as the Little Big Planet series, so I’m happy that Run Sackboy! Run! 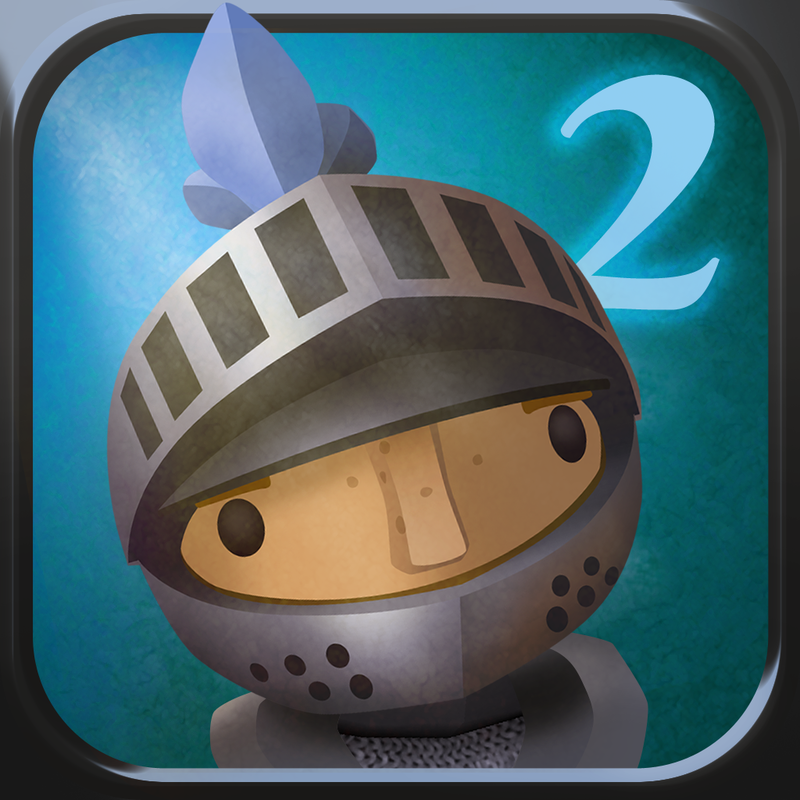 has finally hit the App Store. It’s one of my favorite game releases this week, and has proven to be well worth the wait. 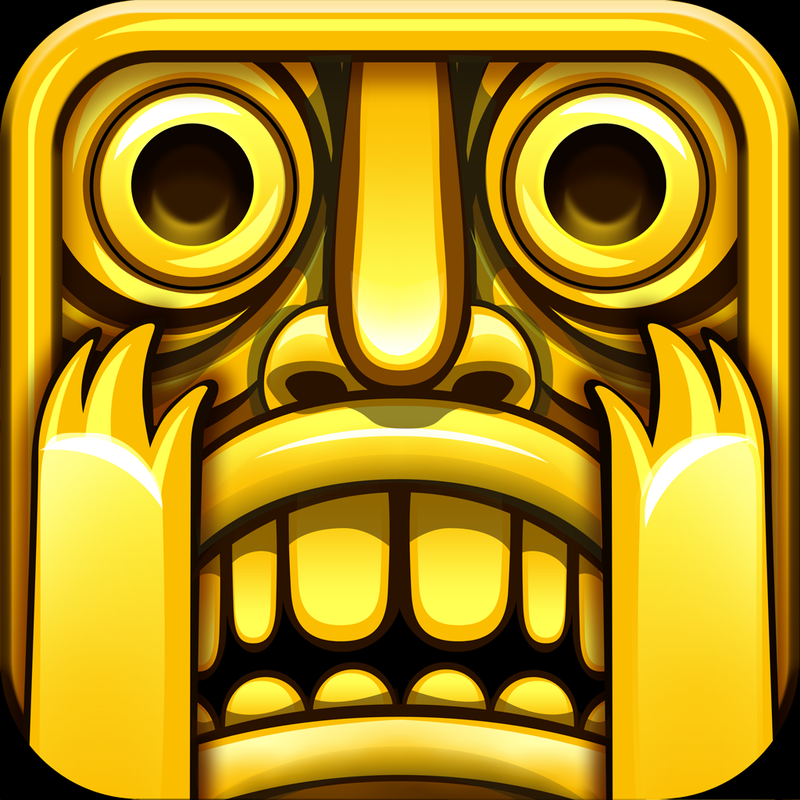 The graphics are superb, the music is fun, the sound effects are charming, and the controls are responsive. To me, this is a must-have game this week. 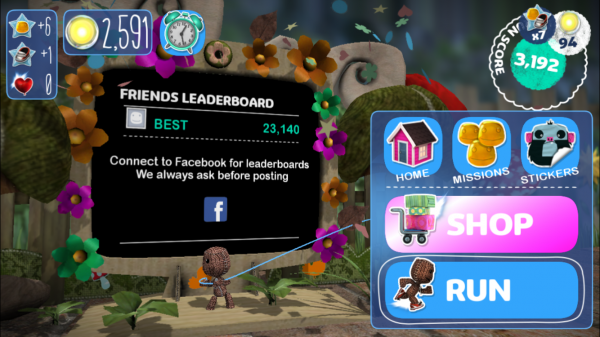 I highly recommend giving Sackboy a chance if you enjoy endless runner games, or love the Little Big Planet franchise like I do. 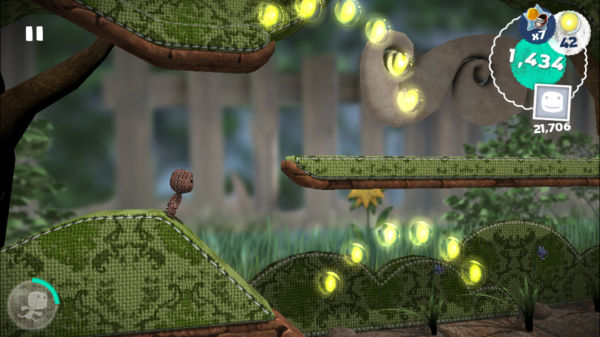 You can find Run Sackboy! Run! in the App Store as a universal download for free with in-app purchases.